Insurance Business: How would you review 2012 as a year for you and your office? What achievements are you most proud of? Bill Shorten: 2012 was a year in which we made a lot of significant and at times difficult reforms in the financial services portfolio. We moved to improve consumer rights in the insurance sector by the framework for a standard definition of flood and the provision of a key facts sheet. Through FOFA we are creating a more competitive, client-focused market for financial products and advice, to ensure Australians can access good quality financial advice and give the financial services industry a stronger foundation for future growth. IB: How effectively have the benefits of the National Disability Insurance Scheme been relayed to state governments and the wider public? BS: The Commonwealth, and all state and territory governments have been and will continue to work closely on the NDIS. At the meeting on the 28 July 2012, the Council of Australian Governments agreed that, as a first step to settling the design of the NDIS, consultation should occur with people with disability, their families and carers, the workforce and disability sector and peak bodies. These consultations occur through a number of mechanisms established across the Commonwealth and States and Territories. Five formal engagement mechanisms are being used to enable participation of stakeholders, including people with a disability, their families and carers in the decision-making process and at key points in design and implementation. IB: You claimed the recent Insurance Contracts Amendment Bill will mean less red tape for insurers and better disclosure for consumers. Why is that is the case? BS: The Insurance Contracts Act 1984 is now close to decades old. At the time of the Act’s commencement, products offered by insurers and the state of market were vastly different from today. Today we see an increased reliance on electronic communication and a more diverse range of insurance product offerings. These changes, while generally beneficial, pose challenges for both consumers and insurers. The Insurance Contracts Amendment Bill addresses these challenges by introducing measures to give effect to reforms that improve the operation of the Act. The measures will reduce complexity and provide certainty. The Bill makes changes to enable insurers to provide statutory notices and documents to consumers electronically. This will not only reduce compliance costs for the insurance industry, but will also bring the insurance industry in line with other industries. It will also provide life insurers with additional flexibility in the types of remedies they can use when they are dealing with situations where an insured has made an innocent misrepresentation or fails to comply with the duty of disclosure. Lastly, the Bill will ensure consumers provide better disclosure before entering into contracts, reducing the scope for disputes when a claim is made. 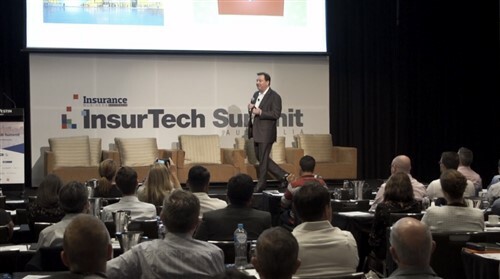 IB: How are you helping to solve Australia’s underinsurance problem? BS: There are problems with both non-insurance and underinsurance in Australia. For non-insurance, where consumers do not hold insurance for some of the risks they are exposed to, the government is helping to provide better information about risks, so that people can make better decisions about getting the insurance cover they need. One example of where we’re doing this is through the introduction of the National Flood Risk Information Portal. The government is also looking at ways to address affordability issues, for example by reducing risk through mitigation. For underinsurance, where consumers do not hold adequate cover for the losses they suffer, the government is improving transparency so people are better aware of the level of cover under their policies. The introduction of the Key Facts Sheets will draw attention to the difference between concepts such as ‘sum insured’ and ‘total replacement value’. IB: How have you seen the insurance industry evolve since the impact of the 2011 floods? Is it somehow a better industry for that tough period? BS: Following the 2011 floods, the government has undertaken a series of reforms to make flood insurance simpler and more effective. The government has enacted regulations that give effect to the standard definition of flood to which all insurers must comply. This policy makes it easier for people to know what they are covered for, and what they are not covered for. If they have flood coverage, they now know that it covers events that fall within the terms of the standard definition. The government has enacted regulations to require the provision of Key Facts Sheets for home building and home contents insurance policies. Providing consumers with easier access to key information will help ensure consumers are able to make more informed decisions about their insurance policies. The government has recently launched the National Flood Risk Information Portal to assist the community, planners and insurers to access important flood information about their local area. This portal provides more information for consumers and helps them make more informed choices. The portal is part of the $12m, four-year National Flood Risk Information Project initiated by the Australian Government in response to the Natural Disaster Insurance Review. The insurance industry has also been improving its own flood information database to assist insurers to better assess a property’s flood risk. After the floods of 2011, the government asked the Insurance Council of Australia to publish data on flood insurance take-up rates, on a state-by-state basis, setting out the number of policies that include flood cover. The number of policies which include flood insurance has increased significantly in recent years, from only 3% in 2006 to an estimated 81% today. The increasing take-up of flood cover is a sign that consumers are better informed about its availability than ever before. The Insurance Council has made some significant improvements to the General Insurance Code of Practice since the 2011 floods. Since those floods, the National Insurance Broker’s Association has developed an online tool for consumers to find a broker close to them. IB: How do you view the role of insurance brokers in the Australian market? Are there any changes afoot that could impact insurance brokers? BS: Insurance brokers play an important role in the Australian insurance market. The government made two significant reforms to the Insurance Contracts Act, the introduction of a standard definition of flood, and the requirement for insurers to provide an Insurance Key Facts Sheet. These reforms will ensure that consumers have access to key information when making their insurance decisions. In recognition of the fact that an insurance broker’s role is to assist their clients in securing appropriate insurance cover, insurance contracts entered into by consumers through insurance brokers are generally exempt from these reforms. The exemptions provided to insurance brokers recognise that insurance brokers are under a duty to determine what their clients’ insurance needs are and whether they want to be covered against flood when arranging insurance on their behalf. Insurance brokers will also be subject to the FOFA reforms that commence on 1 July 2013. This includes the requirement to act in the best interests of the consumer and the ban on conflicted remuneration. These reforms will result in consumers being at less risk of receiving advice that is influenced by the payment of commissions. However, in recognition of the different nature of insurance (as compared to an investment product) and the need to avoid introducing barriers to consumers obtaining adequate levels of insurance, the application of these requirements have been modified in relation to insurance, and therefore this would extend to insurance brokers. For example, an alternative best interests duty may be utilised by insurance brokers when advising on general insurance products. In addition, an exemption from the ban on conflicted remuneration has been provided for general insurance and life insurance products. The government provided these concessions for insurance products to ease the burden on the industry to help address the problems of underinsurance. 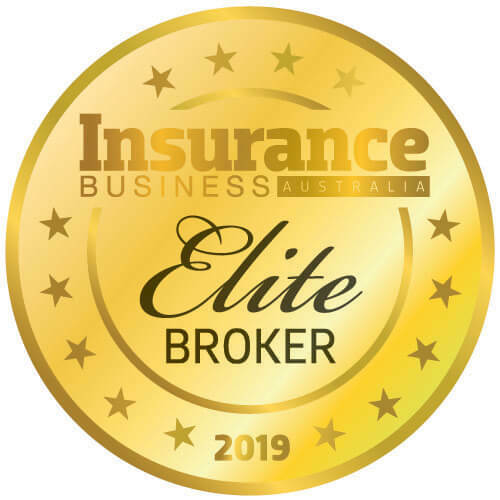 While, it is important to recognise the role that insurance brokers play in the insurance market, insurance brokers are only one of many options open to people when they are seeking information on or making decisions in respect to their insurance needs. IB: Do consumers fully understand the role of insurance brokers? Can more be done to raise awareness of the benefits of using an insurance broker? BS: While I believe that consumers generally understand what insurance brokers are, consumers are not fully aware of the important role that they play in the market. In June last year the government was pleased to see the National Insurance Brokers Association (NIBA) announce a service to provide advice to consumers through the establishment of a 1300 phone number and the enhancement of its ‘need a broker’ website. These services will enable consumers to access valuable information about insurance and what services a broker can provide. These initiatives are raising consumer awareness of the role that brokers play in the insurance market. In addition to raising awareness of the benefits that insurance brokers may provide, NIBA has also released a revised Code of Practice, setting voluntary industry standards. NIBA has indicated that, after an extensive program to promote the Code, the Code will come into force from 1 January 2014.